Partnering with organizations fostering innovation in the energy and environmental sectors to promote sustainable energy infrastructure and economic development. This is a new program for 2019. 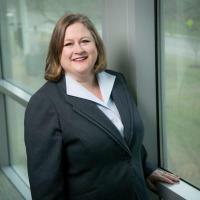 Professor Lori Bennear studies energy economics and policy and teaches courses on environmental economics, energy economics, and environmental and energy policy. Conversational Spanish is highly recommended, but not required. 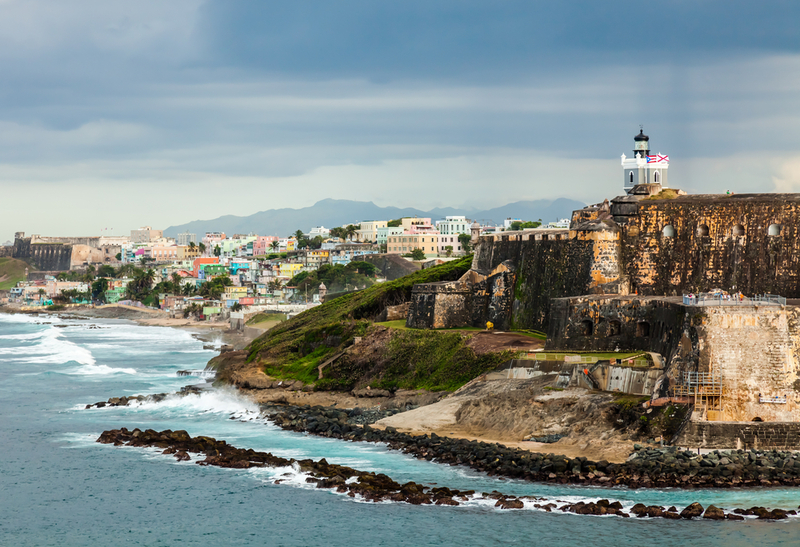 Students will gain a first-hand understanding of the correlation between reliable energy access and quality of life, both generally and specifically with respect to Puerto Rico. Students will understand the landscape of relief and recovery efforts, including those of federal and local governments, NGOs, and social entrepreneurs. Students will apply their skills and knowledge in energy and/or innovation and entrepreneurship in service of relief and recovery efforts. Students will gain appreciation for the complex demands of infrastructural re-development with limited resources. Students will gain an increased understanding of the opportunities for applying methods and tools of creative problem solving, innovation, and entrepreneurship to the challenge of increasing access to energy. Foundation for Puerto Rico: The mission of the Foundation for Puerto Rico is to transform Puerto Rico into a destination for the world by driving economic and social development through sustainable strategies. There are three main programs run by the Foundation. The first is the Bottom-up Destination Recovery Initiative, which supports communities to become more active in the creation of tourism attractions and experiences. This community-based recovery program aims to strengthen local communities to spur their own recovery and build the infrastructure required for growth. 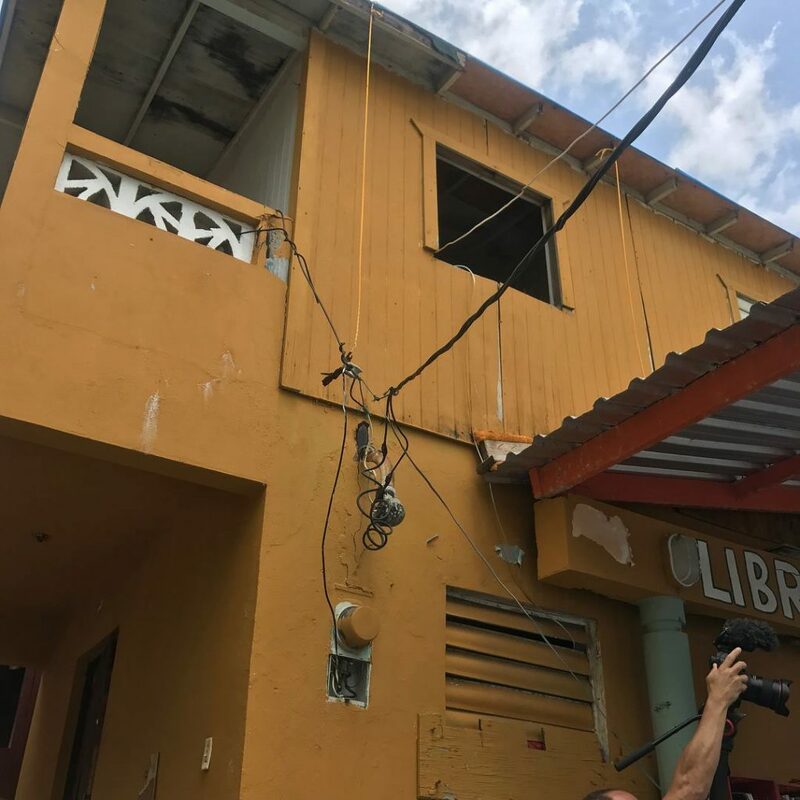 The second program is the Small Business Support Program, created after hurricane María to help existing businesses remain open, retain employees and optimize their business through immediate assistance and relief. Likewise, this project seeks to promote the local economy in areas with a high impact to the island tourism. The final program is the Visitor Information and Experience Warehouse of Puerto Rico (“VIEWPR”) that seeks to attract more visitors to the island and extend their stays by sharing new and reliable information with travel platforms across the world. The Foundation also serves as an umbrella for many other community nonprofits working in Puerto Rico. Volunteer work might include a resiliency project for local small businesses or conducting asset-based community development surveys (data gathering and analysis) to better help communities develop sustainable economic development strategies. Parallel 18 promotes innovation and entrepreneurship on Puerto Rico by supporting successful startups. Parallel 18 supports innovators from around the globe to help them scale from Puerto Rico to global communities beyond the Island. Parallel 18 supports startups by providing capital and by providing training and support through their acceleration program. Volunteer work might include partnering with funded start-ups to provide energy sector knowledge and insights to their business plans. ABRE Puerto Rico is a local NGO that works closely with Foundation for Puerto Rico on issues of government transparency. 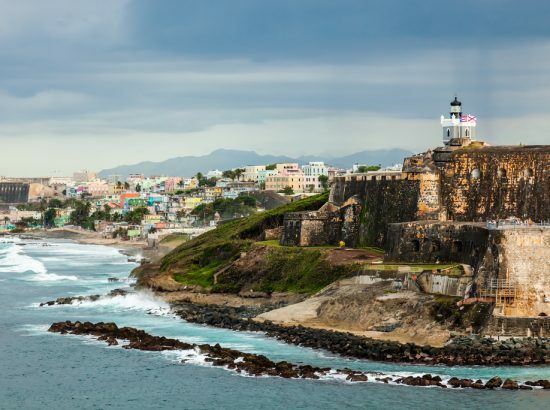 They strive to find and publish government data and documents to enhance democratic participation in decision-making about economic development on Puerto Rico. They develop new data sets, data visualization tools, and data indices on topics such as municipal fiscal health and political campaign donations. Volunteer work might include policy research and analysis, data gathering and management. Para La Naturaleza is a nonprofit that fosters ecological restoration and preservation as well as sustainable tourism in Puerto Rico. Current programs include sustainable tourism, volunteer tourism to maintain ecological gardens and restore ecosystems, and working with communities to develop more sustainable and resilient economic strategies. Volunteer work might include supporting the development of resilient community centers and supporting community-based organizations with projects related to sustainable tourism or agriculture. IMPORTANT: While applicants may express preferences for specific opportunities, and those preferences will be taken into account, accepted students must be open to any placement in the program. Language: Conversational Spanish is highly recommended, but not required. Coursework: No specific coursework is required before participation. However, applications will be stronger from students with background and training in energy and/or innovation and entrepreneurship. Students are encouraged to take at least one of the following courses: Energy and the Environment ENVIRON/ENERGY 231, Engineering Sustainable Design and the Global Community (CEE 315/ENVIRON 365/PUBPOL 211), Innovation & Entrepreneurship (I&E 352), and Social Innovation (I&E 261/PUBPOL 256). Other skills: Students most interested in working with ABRE Puerto Rico and the Foundation for Puerto Rico should have data analysis skills including ability to work with data in Excel. Experience with data visualization tools such as Tableau and GIS would be helpful. Self-motivation: Students will be expected to work on projects with autonomy. Ability to stay self-motivated will be critical to project success. Problem-solving: Students will be expected to solve problems in the work with minimal oversight. Students should be able to be creative and identify solutions themselves. At the same time, it is critical to know when you cannot solve a problem yourself and need to seek help. For example, if you encounter a problem with data, you should be able to troubleshoot the problem by using available help tools, but you shouldn’t spend days trying to solve a problem if one question to a supervisor could solve the problem. The key is to know when you cannot solve a problem by yourself. Undogmatic: The goal of DukeEngage-Puerto Rico is to empower communities to develop sustainable and resilient economic development plans. What works for a particular community may not be a “traditional” approach and students must be open to non-traditional ideas and solutions. Your job is to listen and help, not to tell people what they should do. Collaborative: Students will be living and working with one another in a close environment, therefore they must be open to working closely with other students and community partners who may have differing thoughts and ideas. Flexibility: Enrichment schedules will be determined based on timing and opportunities and are subject to change. Students should be comfortable with ambiguity and remain flexible to schedule and program changes throughout the summer. Energy and Environment Certificate–Gateway course: Energy and the Environment ENVIRON/ENERGY 231, offered every fall). Related: Engineering Sustainable Design and the Global Community (CEE 315/ENVIRON 365/PUBPOL 211, offered every spring); Economic Analysis of Current Energy Issues (ECON 325S, offered every spring). These courses may be taken before or after the program. Innovation and Entrepreneurship Certificate–Gateway course: Innovation & Entrepreneurship (I&E 352, Fall 2019). Related: Economics of Entrepreneurship (ECON/I&E 375; offered every fall); Social Innovation (I&E 261/PUBPOL 256, offered every fall); Hacking for Conservation and Development (I&E 590, offered every spring). Participation in this DukeEngage program can count toward the 300-hour experience required by the I&E Certificate. These courses may be taken before or after the program. 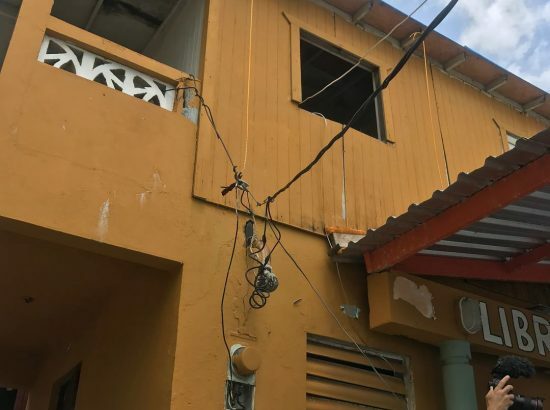 Bass Connections in Energy and Environment: Duke’s Energy Access Project (EAP) sponsors Bass Connections research with many parallels to work that will be done in Puerto Rico. A 2018-2019 project will examine the business and policy landscape for promoting energy access in east Africa; this project was so popular that it could only admit about 30% of applicants. We expect to offer energy access-related projects again in 2019-2020. Independent studies may also be available with faculty affiliated with the EAP, and the Global Energy Access Network, an interdisciplinary group of graduate and undergraduate students housed at Duke, offers regular co-curricular learning opportunities. Students may participate in a Bass Connections project before or after the DukeEngage experience. Spanish/Latin American Studies: Students are encouraged to have conversational Spanish language skills. Students may be native Spanish speakers or have successfully taken Spanish language courses, including AP credit. Further Spanish courses exploring the Latinx experience in the U.S. will complement this Duke Engage experience. Examples include: Intro to Latino/a Studies (Spanish 160), Latino/a Voices in Duke/Durham (Spanish 308S), Bridging Cultures (Spanish 313), Intro to Contemporary Latin America (LATINAMER 239), and Political Economy of Latin America (LATINAMER 349). These courses may be taken before or after the Duke Engage experience. Description of Community: The communities we will be working in were severely impacted by Hurricane Maria’s trajectory. Most of the communities are in the greater San Juan area although students may also engage with some more remote communities, all within 1.5 hours of San Juan. These communities face significant infrastructure challenges (telecommunications, water and energy resources, streets and waste management). They have a high percentage of poverty and unemployment levels – but also a high potential for commercial density and for a “visitor economy,” given assets such as natural and cultural attractions/resources/infrastructure. The four local partners have been working with marginalized communities in Puerto Rico for years. There are many assets in these communities upon which the DukeEngage projects will build: prior successful business developments, a high level of community awareness, community support for a new entrepreneurship-based economic environment, a strong desire to develop resilient community centers, and a robust infrastructure of sustainable energy sources that can provide power in the aftermath of a natural disaster. 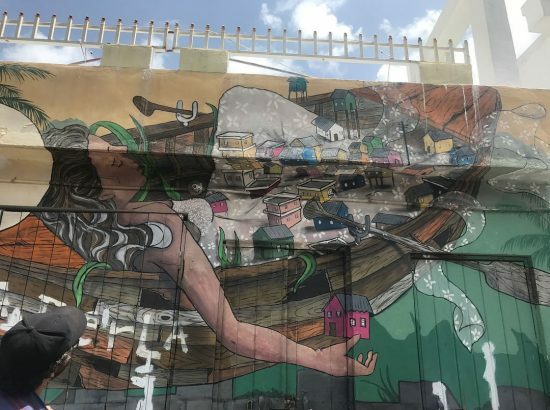 Housing and Meals: Students will be living in close proximity to one another housed either in university dormitories or apartment-style housing in a safe neighborhood in San Juan. Rooms will likely be shared doubles. Housing will have electricity and indoor plumbing, including toilets and hot showers. Emergency and medical facilities are of high quality and are located very near student housing. If students are in dorms, meal plans will be provided for breakfast and dinner and a stipend will be provided to purchase lunch. If students are in apartments, a stipend will be provided to purchase groceries and prepare meals. If you do not eat certain types of food for cultural, religious or personal reasons, please contact the DukeEngage office, dukeengage@duke.edu, to discuss whether or not your dietary needs can be reasonably accommodated at this program site. Transportation: DukeEngage provides or arranges transportation to and from service placements and all scheduled program activities. In this program, students will likely use public transportation to get to their workplaces. Communication: Currently all major U.S. cell phone carriers provide coverage in Puerto Rico. Therefore, we assume all students will have a personal cell phone for program-related and emergency communication. Students will have reliable access to the internet at work and at accommodations. Local Safety and Security; Cultural Norms, Mores and Practices: DukeEngage strongly advises all applicants to familiarize themselves with the challenges travelers commonly encounter at this program site in order to make an informed application decision. We recommend starting with the Diversity, Identity and Global Travel section of the DukeEngage website. Opportunities for Reflection: Students will be required to reflect in person, as a group, once per week with the program leader(s). Topics for weekly reflections may include the impact of Puerto Rico’s territorial status on energy and innovation initiatives, the role of the private sector and innovation/entrepreneurship in the rebuilding of Puerto Rico infrastructure, group dynamics, the process of service work for the clients, personal goals and expectations. Students will also be required to write one blog post during the summer. Students will be assigned a week to write their blog post at random such that one student writes a post each week. Finally, students will be required to complete an e-portfolio in PebblePad. The e-portfolio is a web-based summary of the student’s activities as well as the student’s reflection on the process of learning through DukeEngage. Students will be expected to complete reflection exercises in PebblePad at least once per week. If students do not have a personal laptop or tablet we will provide access to a computer for this work to be completed. Other Opportunities: The group will participate in enrichment activities such as meeting with community leaders to learn about the history of their neighborhoods and the difficulties they have endured since Hurricane Maria, learning about the legacy of colonialism and the relationship between the U.S. and Puerto Rico from University and community leaders, visiting communities with unique energy systems, as well as visiting the local rainforest and participating in cultural activities. Students will also have opportunities to meet with Duke alumni and friends of Duke working in Puerto Rico. Some of these activities may occur in the evenings and on weekends and students will be required to attend. We guarantee at least one free day per week and two free weekends during the program. Open water swimming will not be a sponsored activity in any DukeEngage program. Mack, Doug. 2017. The Not-Quite United States of America: Dispatches from the Territories and Other Far-Flung Outposts of the USA. (New York, NY: W.W. Norton Company). This book will be required and will be purchased for all selected participants. The following information was provided by the program leaders to better inform students. Note: Image links opens full image and gallery in lightbox dialog window.